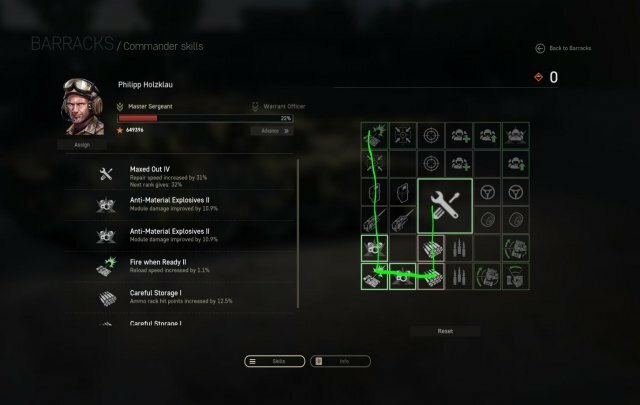 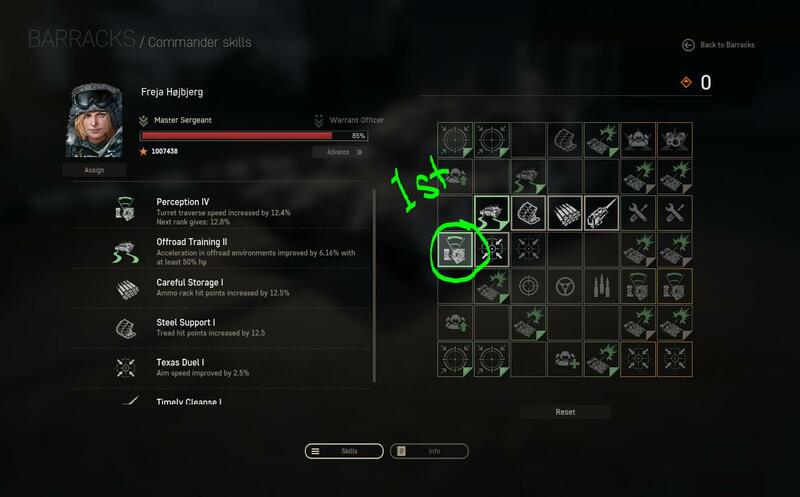 Each commander starts at rank 1, with a default skill already chosen. These skills sometimes rank up alongside the commander. 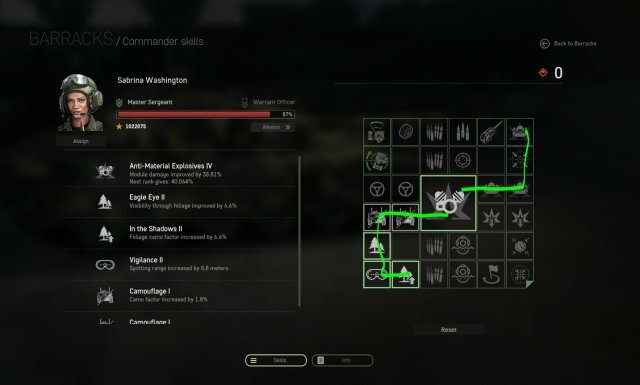 Sabrina, for example, starts off with bonus module damage, and each rank she acquires, increases that bonus module damage. Some start off with a conditional skill, like Ioannis, which activates after spotting an enemy, or fulfilling a condition. 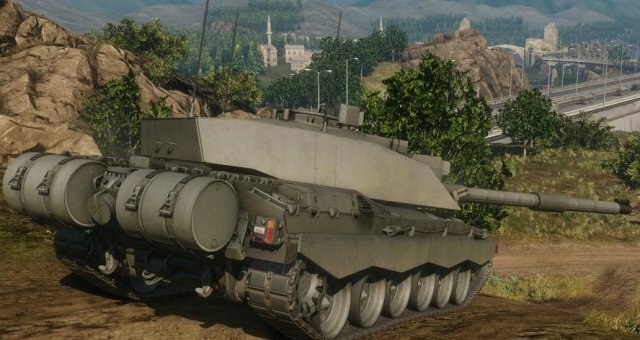 You start off with Philipp and Sabrina, with the ability to unlock Ioannis (LAV-300), Freja (M113 ACAV), Rashid (BMD-1P), Viktor (M48A3/T-55/Type 69), and Juan Carlos (FV4201 Chieftain Mk. 2) through the upgrades screen of the vehicles listed in parenthesis. 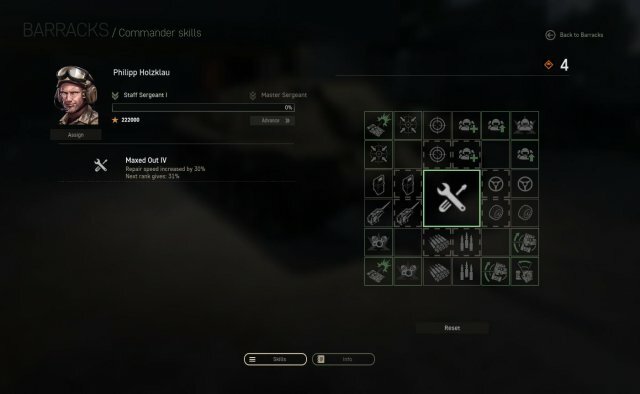 You can use them in any vehicle you want. There is no restriction to a certain vehicle or certain vehicle class. 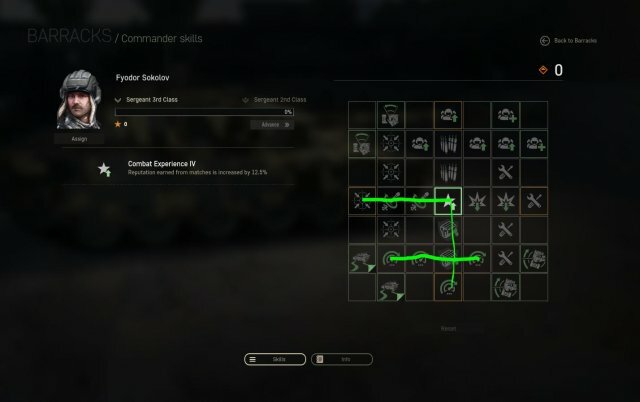 If you want a camo-centered commander for your MBT, you can do that. If you want extra view range in your TD, you can do that, and you can move them around as freely as you want. 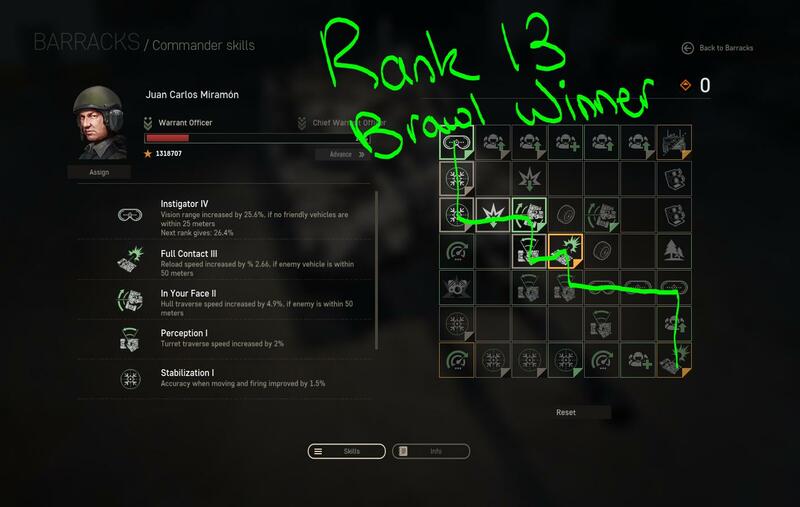 You rank up by earning commander exp for whatever commander you've chosen to use in the tank you're playing. Each rank gives you a single skill point. 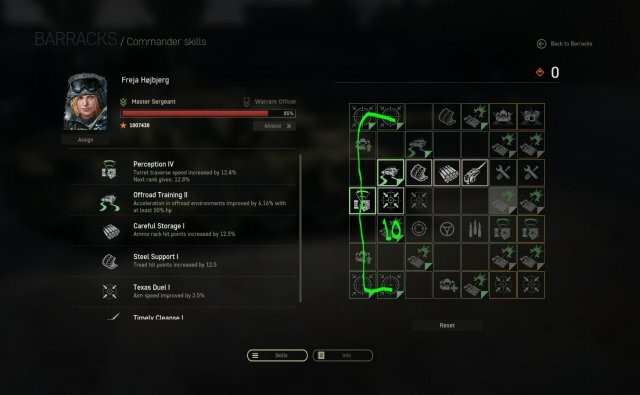 However you can only select skills next to the ones you already have. 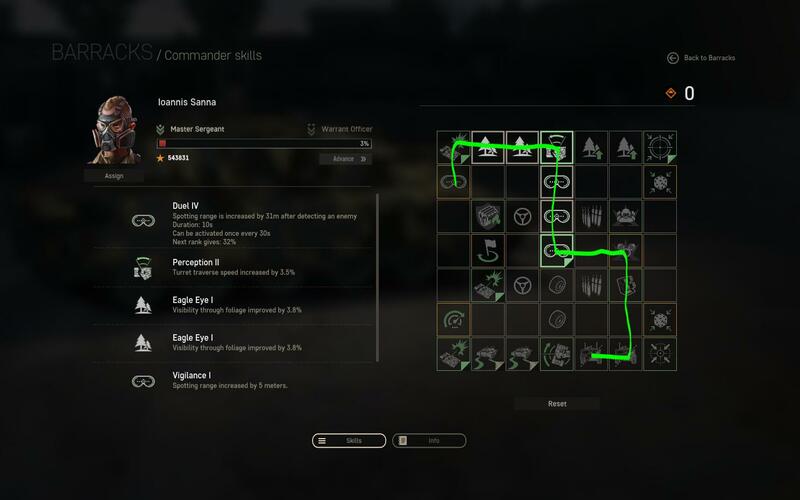 Some start off with a big square in the middle, some with a small square in a predetermined location. 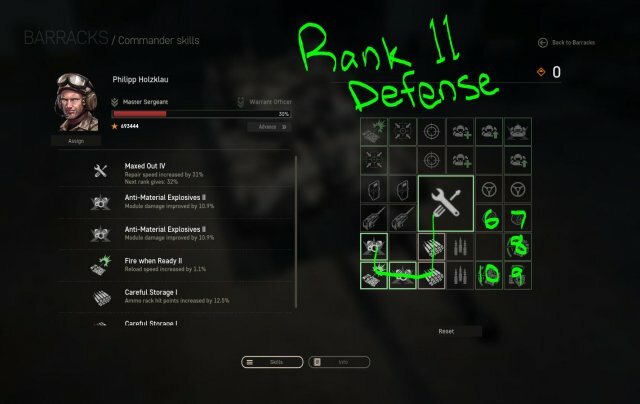 Each commander starts off at Rank 1, and can be advanced all the way to Rank 10 without any issues. 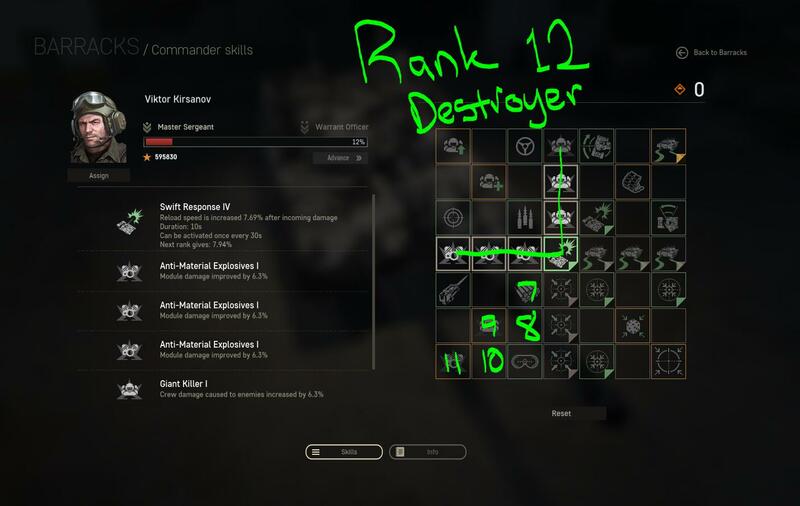 Ranks 11 through 15 are a different story, this is where the "Chain of Command" comes into play. 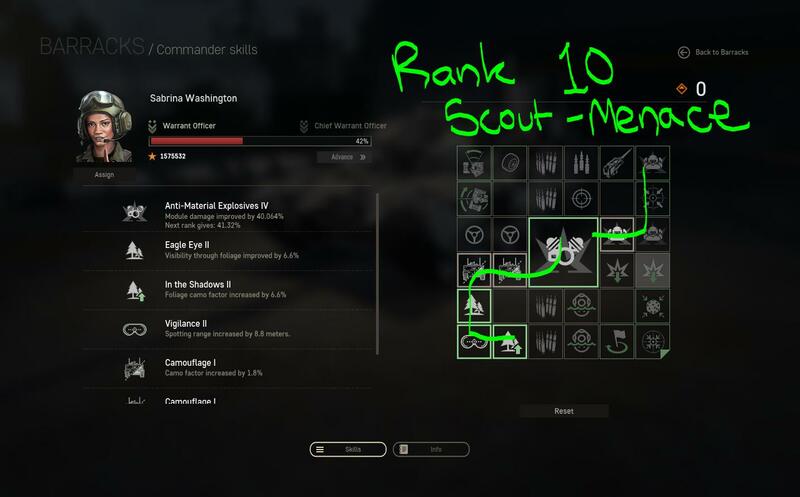 In order to promote a commander to Rank 11, you must still have a commander at Rank 10. In order to achieve Rank 11 (First Lieutenant), you must have 2 commanders at Rank 10 (Lieutenant). This is the "Chain of Command" or "Rule of 2". Each Rank from Rank 10 (First Lieutenant) to Rank 15 (Colonel), must always be occupied. You can, however, have multiple Rank 12's, if you still have a Rank 10 and a Rank 11. 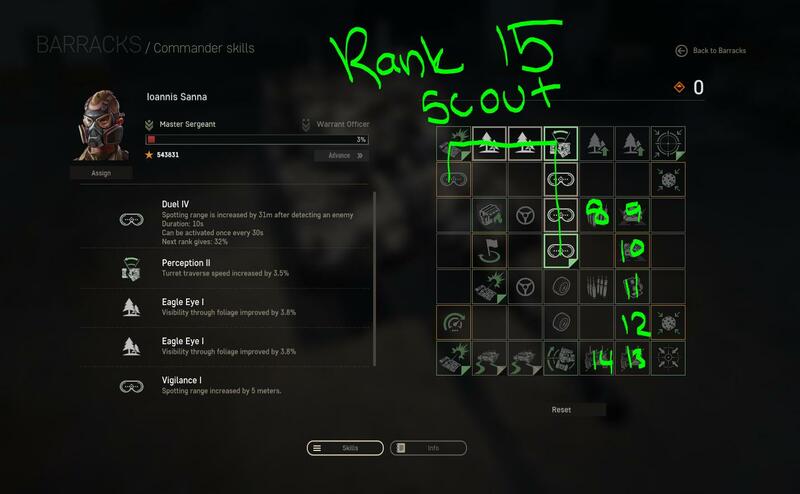 Each Rank can have mutiple commanders, to achieve the next, however, requires one at least in each Rank to forever sit at said rank. Camo in the bottom left, Crew damage in the top right. Repair speed, some ammo rack HP, wheel/tread HP, turret traverse, hull traverse, 1.1% reload buff + module damage. View Range + Camo + some module/crew damage. 2.2% Flat Reload Buff, no conditions, at Rank 10 + Repairs/Ammo Rack HP/Module Damage. Crew Stats, Ammo Swap, Turret Traverse + Aim Speed. 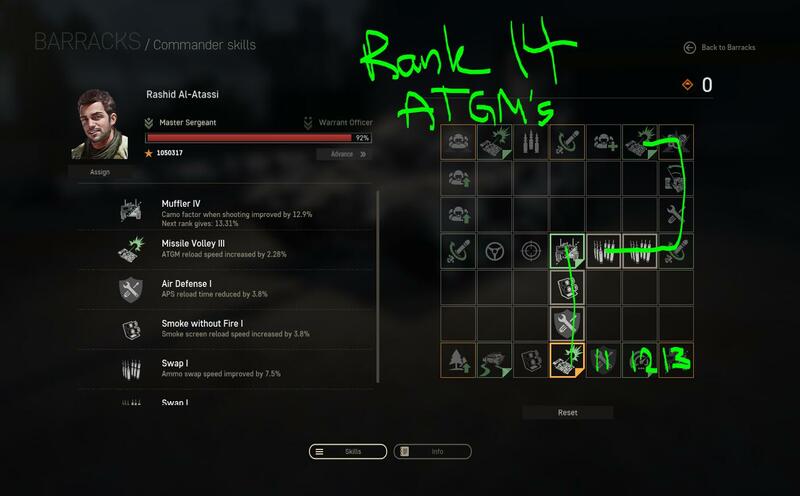 Ammo Swap, Crew Stats, Repair Speed, Reduced Ram Damage. Max Speed, Reduced ATGM Noise, Aim Speed, Reduced Engine Fire. 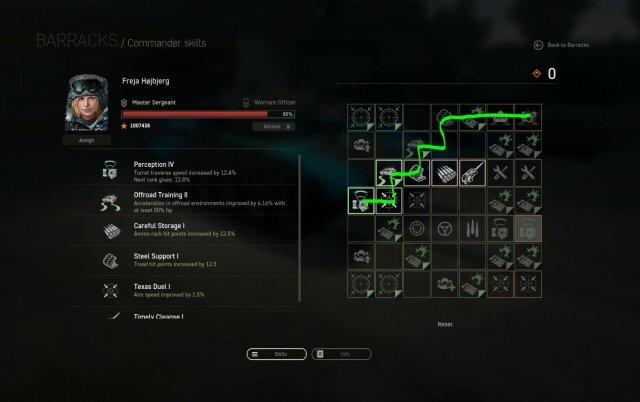 Mobility + Track HP + Module/Crew Damage. 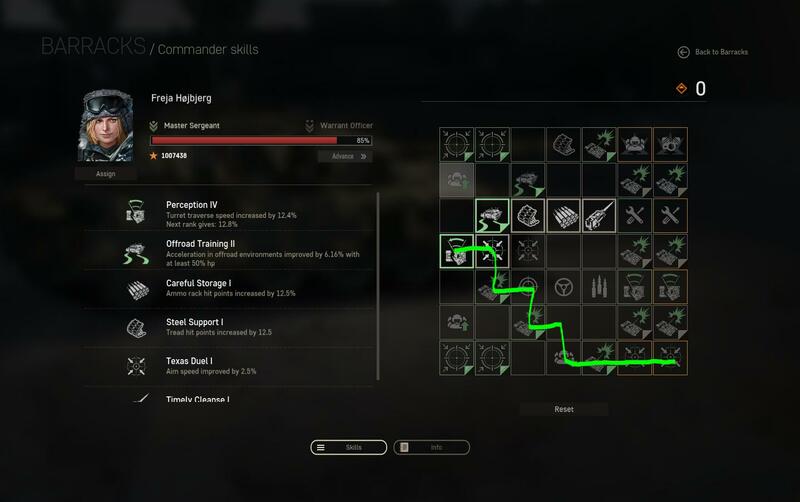 Aim Speed Buffs + Reload Buffs. 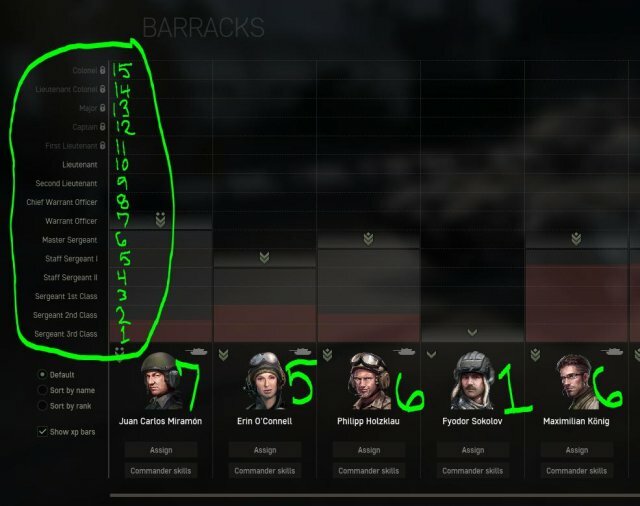 Basically what's in the parenthesis. 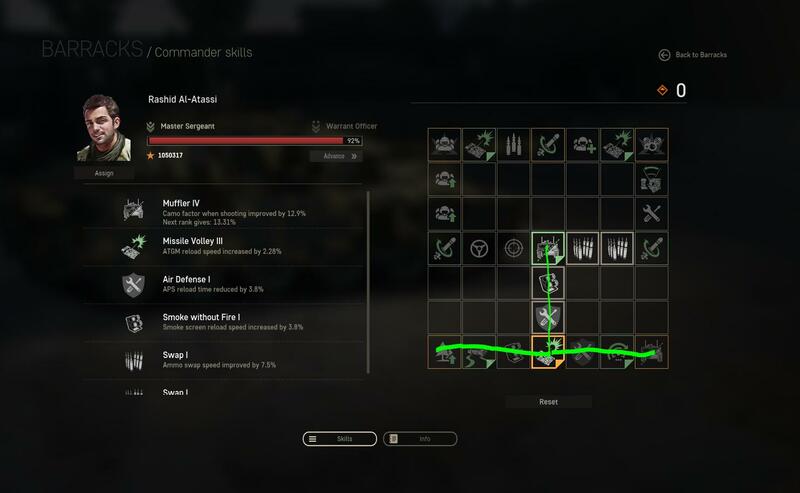 ATGM Reload + Module Damage. 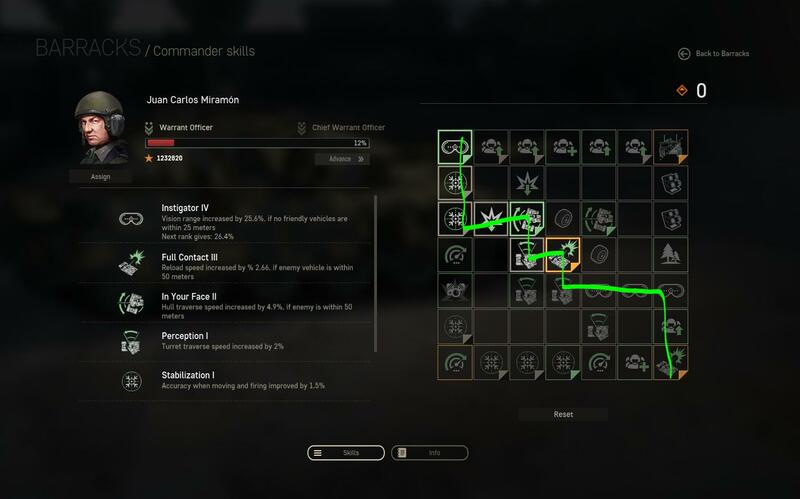 Max Module/Crew Damage. + Increased Reload after getting shot(penetration or not supposedly). 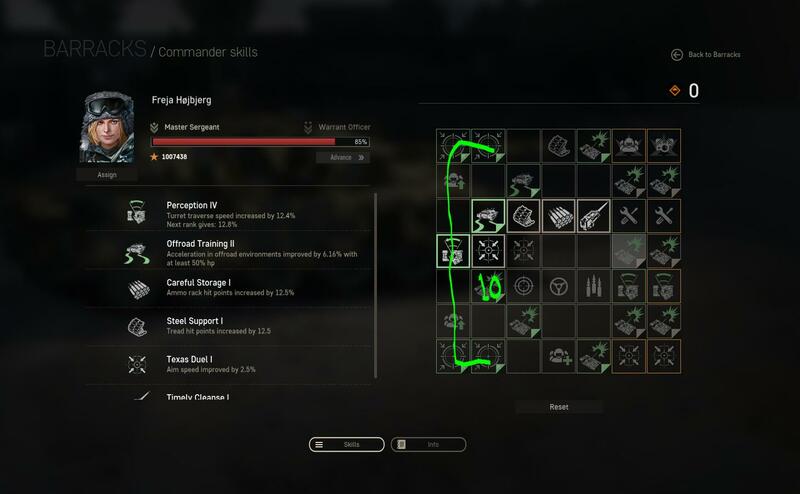 5.32% Reload within 50 meters + view range/mobility. 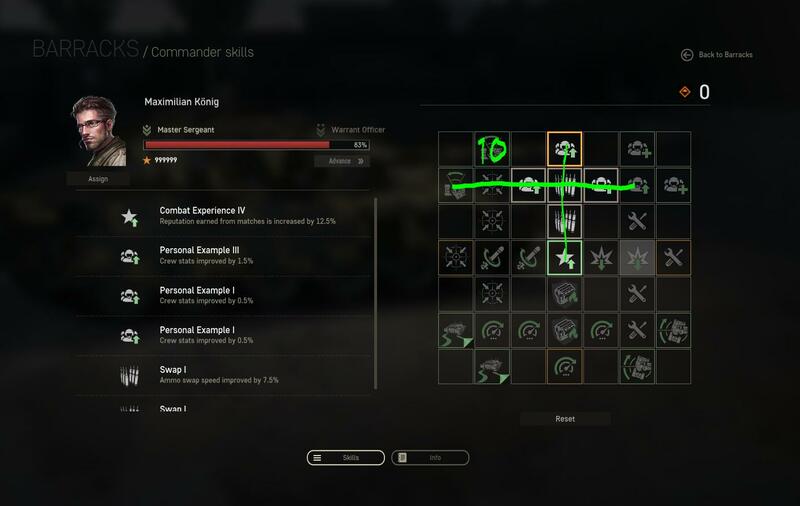 Camo + View Range + Module Damage. Max Camo + Some Mobility/View Range. I personally enjoyed going through the trees, trying to figure out which skills would be the best, which would be situational, which might not be too great, and which would ultimately make the biggest difference when it came down to having to choose a commander to stay at 13, and another to stay at 14. 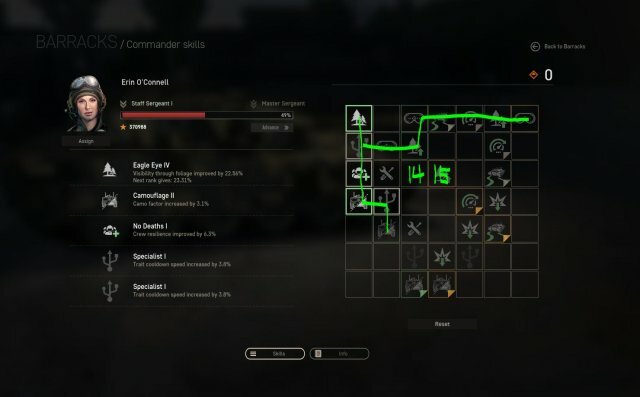 There's a good tree for just about every commander if you want to get a specific one all the way to Colonel, if the sample chain of command above seems like it might not suit your desired playestyle. A good example would be an arty commander near the top, versus most of mine, which are mostly tied to the other classes, since I don't really play artillery myself.